The Royal Wind Music is an ensemble consisting of thirteen musicians from eight different countries performing on a collection of 45 renaissance recorders. The group was founded in 1997 by Paul Leenhouts and has captivated a steadily-growing worldwide audience ever since with its performances of instrumental music from the period 1520-1640. Their wish to bring Renaissance music to life in an authentic and accessible way results in programmes that juxtapose rarely heard compositions with well-known repertoire. Playing entirely from memory and without a conductor, The Royal Wind Music is also known for its engaging performances and ability to communicate with the audience. The current members include some of the most talented recorder players of the new generation from Germany, England, Finland, Hungary, The Netherlands, Portugal, Spain and Taiwan, all of whom are former students at the Amsterdam Conservatoire. The Royal Wind Music’s collection of instruments was made by Adriana Breukink (The Netherlands) and Bob Marvin (Canada). Both makers modelled their instruments on Bassano examples found in the Art History Museum (‘Kunsthistorisches Museum’) in Vienna. 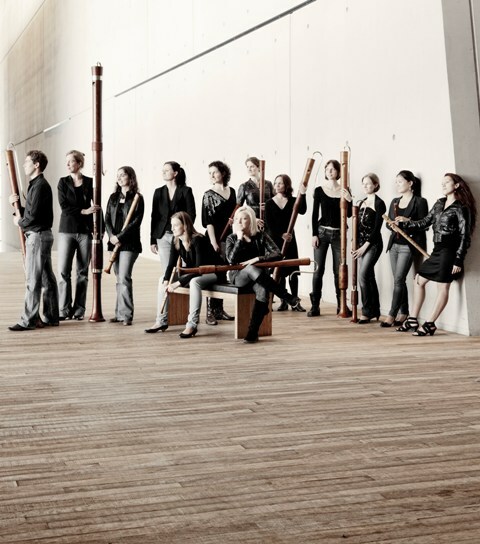 The ensemble’s renaissance recorders vary from a 15 cm small sopranino to a three- meter long sub-contrabass recorder designed according to renaissance principles in 1998 by Adriana Breukink, Winfried Hackl and Paul Leenhouts. The Royal Wind Music has performed in major concert halls all over Europe and in the United States. They have also appeared at prestigious venues in the Netherlands including ‘Het Concertgebouw’ and ‘Muziekgebouw aan ’t IJ’ in Amsterdam, ‘Muziekcentrum Vredenburg’ in Utrecht en ‘De Doelen’ in Rotterdam. Other notable appearances have taken place at important festivals both in The Netherlands and elsewhere including the Early Music Festival in Utrecht, the ‘Berliner Tage für Alte Musik’, the Greenwich International Early Music Festival in London and the Boston Early Music Festival. Their live performances and CDs have been broadcast by radio channels all over the world, and they have made several appearances on Dutch national TV. In March 2006, The Royal Wind Music won the ‘Noorderkerk’ prize during the final of the ‘Vriendenkrans-concours’, jointly organised by the Concertgebouw Amsterdam and the Concertgebouw Orchestra and, during 2009 and again in 2011, were awarded a two-year project subsidy by the Dutch Foundation for the Performing Arts (‘Fonds voor de Podiumkunsten’). In addition, the ensemble received funding from the Prince Bernhard Cultural Foundation (‘Prins Bernhard Cultuurfonds’) for the purchase of new instruments. During the last few years The Royal Wind Music has developed a wide-ranging programme of educational activities aimed at children, adults and future recorder professionals. In September 2011 The Royal Wind Music began a partnership with the Amsterdam Conservatory, ‘The Royal Wind Music Academy’, consisting of a series of workshops about the performance of Renaissance music on consort recorders. The ensemble has also collaborated with several music schools in The Netherlands, offering workshops and educational concerts to introduce children and adult amateurs to Renaissance music. In 2012 and 2015 The Royal Wind Music organised the first two editions of the successful four-day festival and competition ‘Open Recorder Days Amsterdam’ bringing together hundreds of young players, amateurs, instrument makers and music lovers from The Netherlands, Europe and overseas. The third edition of the festival is in preparation for 2017. The Royal Wind Music has released seven CDs on the Spanish label Lindoro. Their most recent CD release is Sweete Musicke of Sundrie Kindes, a collection of masterpieces of the English Renaissance.